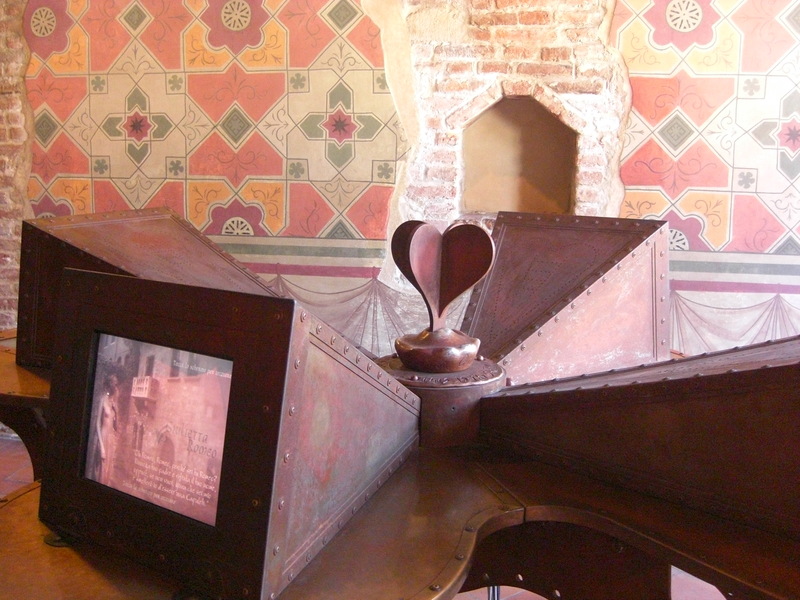 A few weeks ago I visited casa de Julieta, the fictional home of Romeo and Juliet’s, Juliet. 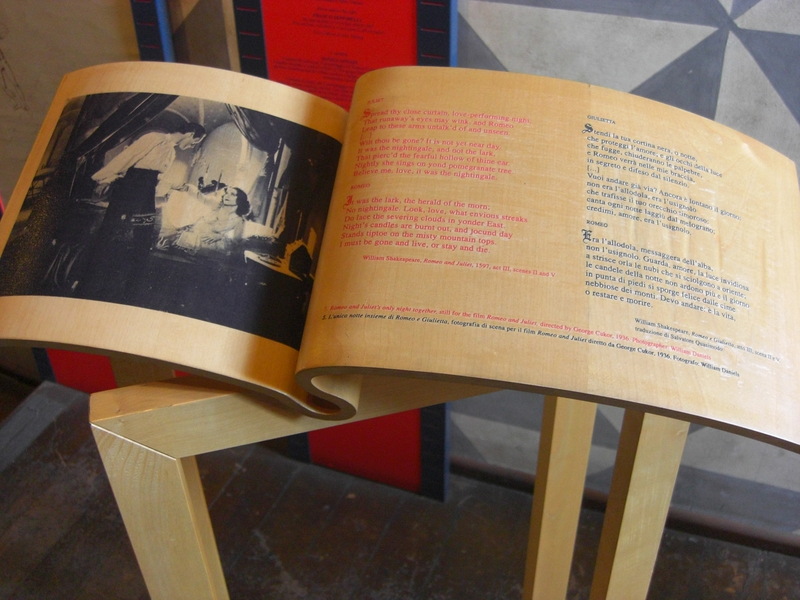 The house which is a massive tourist attraction provides an interesting example in the use of stagecraft as a means to create unique visitor experiences and shape visitor behaviour. The outside walls of the house and the digital displays mounted on them are covered in graffiti, messages of love, hope and everything in between. Whilst it is strange to see interactive displays scrawled over with permanent marker, it made me question why visitors feel it is appropriate to deface the courtyard area. I guess its a mix of crowd mentality, and a lack of value. The entrance is covered in graffiti, so visitors feel that they are permitted to leave their mark. 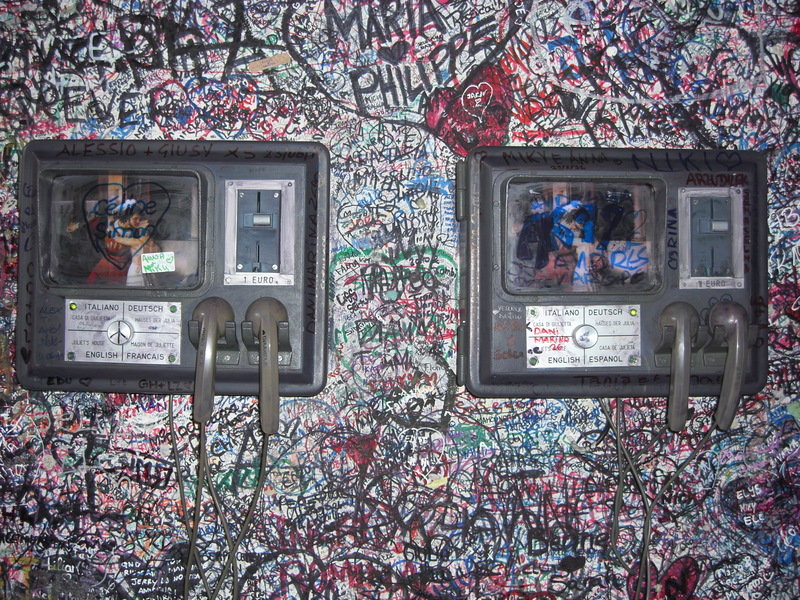 The court yard area is quite modern, as are the digital displays so visitors do not recognise their value and instead are caught up in the moment, guided by the graffiti from visitors who have been there before them. The crowd mentality, instantly changes upon entering the actual house. A large sign tells visitors that it is forbidden to leave messages on the walls, strangely this sign is extremely effective. The house unlike the courtyard feels like a traditional museum, with guards watching your every move. I was fascinated by the immediate and obvious change in visitor behaviour created by the two staged areas. 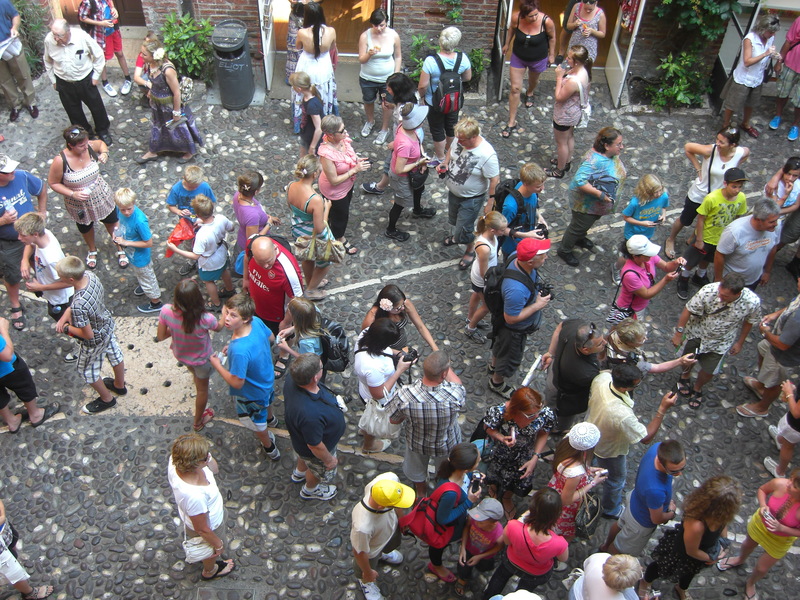 In the courtyards visitors were boisterous, laughing, chatting, leaving love messages, writing on walls. In the house visitors were contemplative and engaged, they were quiet, they walked slowly and purposefully. Casa De Julieta demonstrates very clearly the power of stagecraft in shaping visitor behaviour in museums, galleries and heritage centres.